George Keulen, former patient and now spiritual caregiver at St. Paul’s. That fateful early morning was George’s 201st day in hospital—and that phone call marked the end of a long and difficult journey for George that had begun at birth with a diagnosis of cystic fibrosis, the genetic disorder that affects primarily the lungs. The positive of such a diagnosis was that treatment was able to begin immediately and, thanks to this early intervention, George enjoyed a healthy childhood. His CF did not catch up to him until his early twenties, when his lung function began to decline. By 2008, when he was 26, George was on the wait list for a double lung transplant. That transplant would occur a year and a half later, on June 18, 2010, and what followed for George was a new beginning. 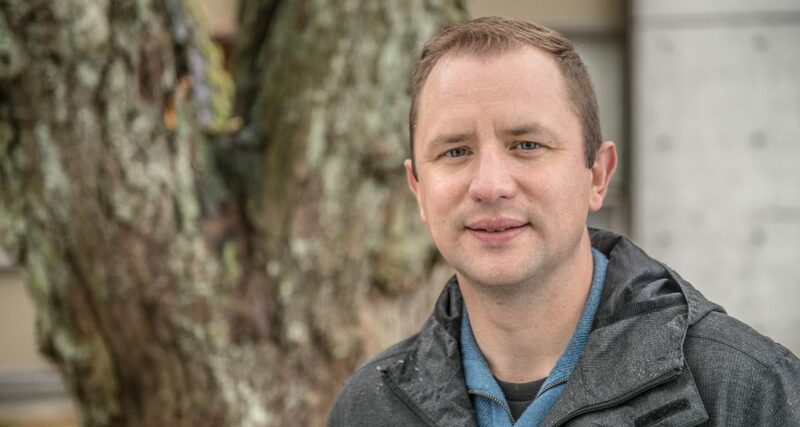 Inspired by his experience, he went on to compete a Masters of Divinity and returned to St. Paul’s—not as patient—but as spiritual caregiver. Much of George’s life and work today is linked to those 200 days he spent in hospital, the confusion and fear he experienced, the not knowing, but also the care that lifted his spirits throughout his medical journey, and the joy he experienced on the 201st day, when this new chance at life was given to him by someone he would never meet. Dr. Christopher E. De Bono, vice president of Mission, Ethics, Spirituality & Indigenous Health at Providence Health Care, points out that patients at St. Paul’s benefit not just from medical staff like George describes, but also from the team of spiritual and pastoral caregivers. And while George speaks to the importance of relating and understanding when he is with patients, he also speaks to the importance of silence and the role it plays. 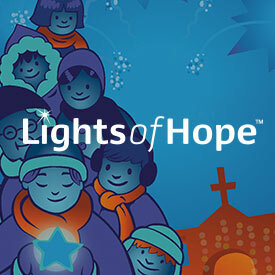 This year, Lights of Hope celebrates its 20th anniversary. 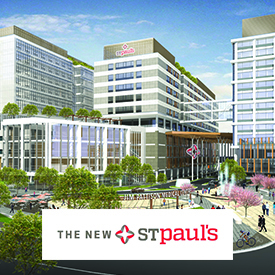 Bring hope to patients at St. Paul’s by making your gift now.